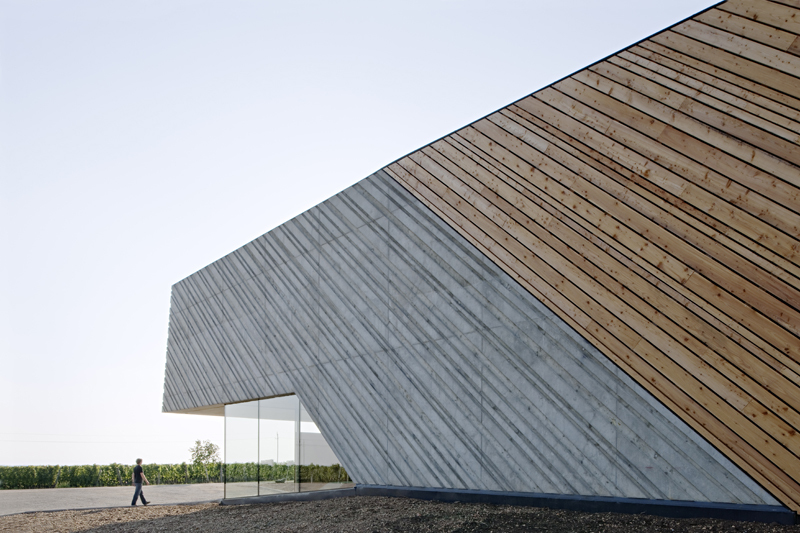 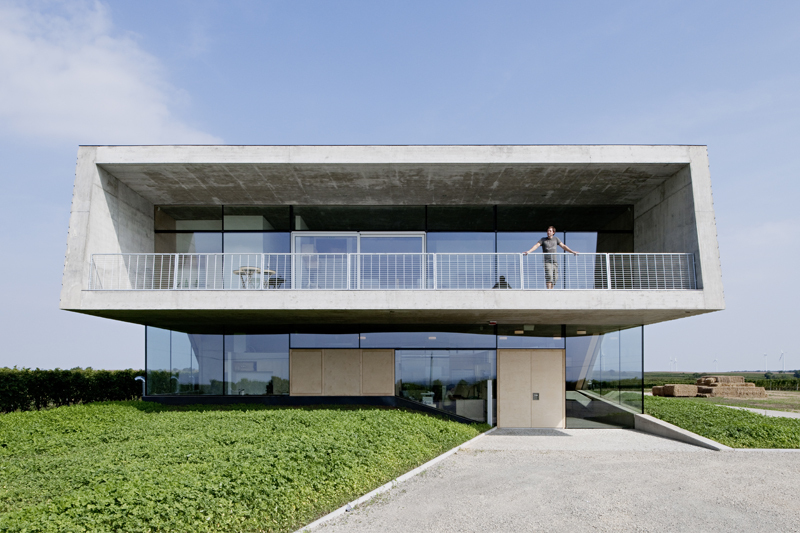 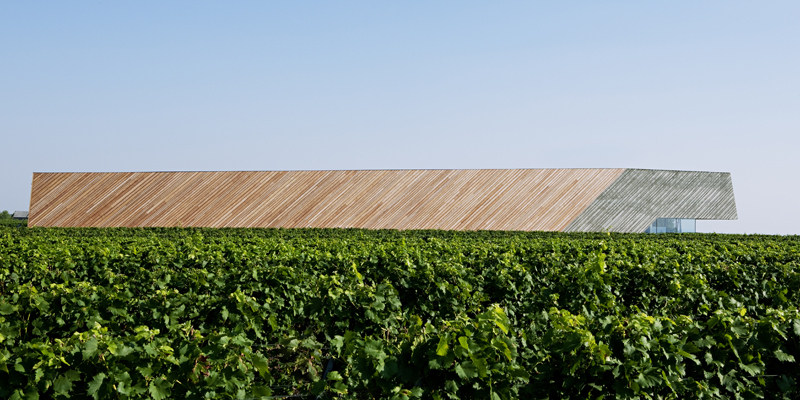 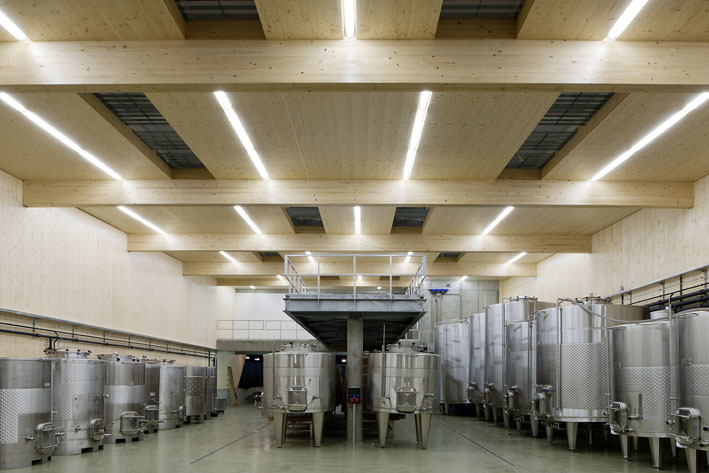 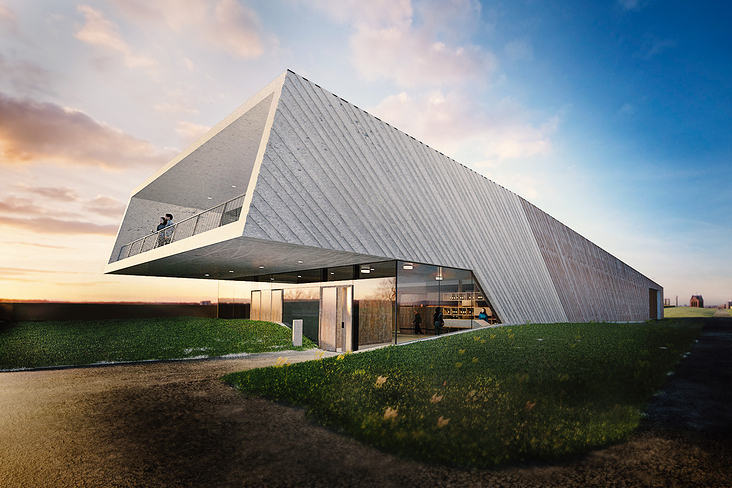 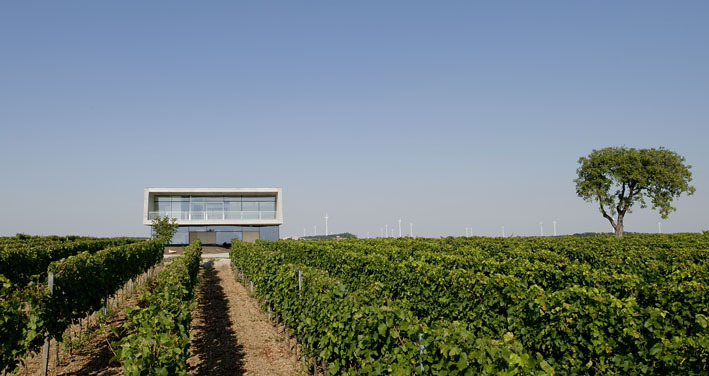 Claus Preisinger´s winery emerges from the land surrounded by vineyards on the southern slope of Goldberg, Austria.Perched atop the Goldberg hill at the end of the rows of vines is the new winery, a self-confident structure made of concrete and larch. 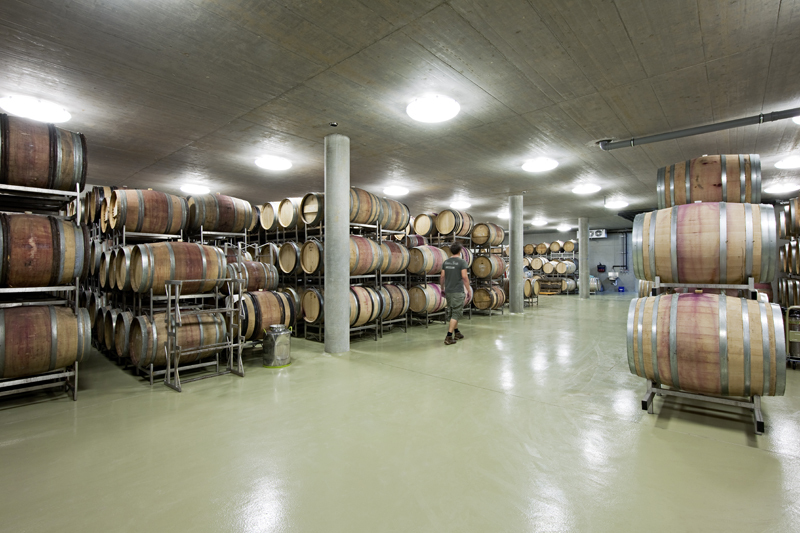 The elongated rectangular building offers simple operation and organization during the annual phases of pressing, barrel maintenance, and the development of Preisinger’s Cuvees. 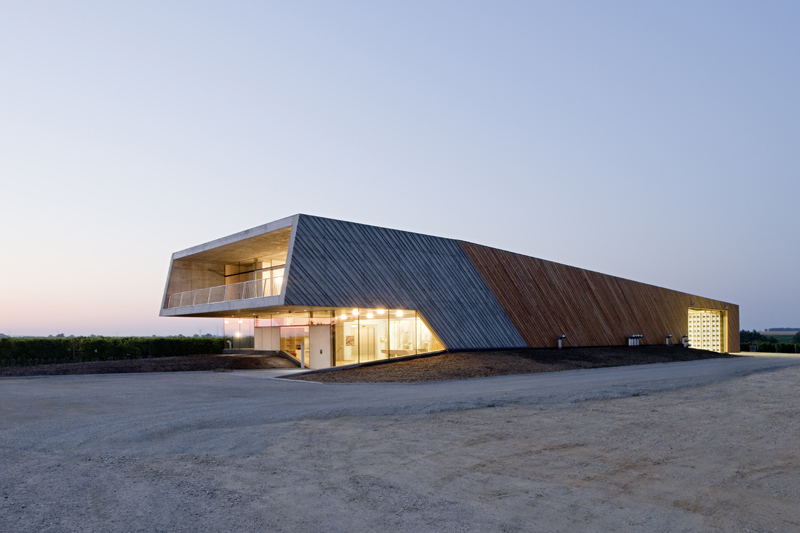 In the north the first and second storeys of the production are defined b a facade of insulated timber panels. 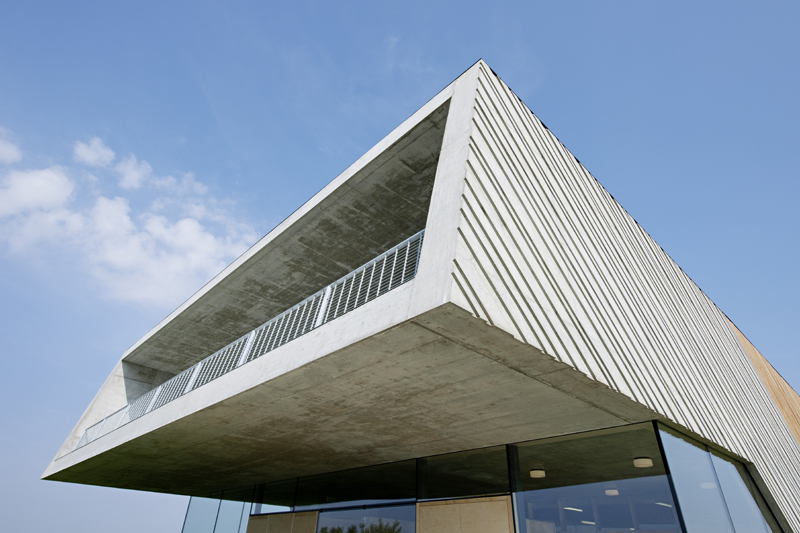 The concrete base does not have any insulation and is embedded in the ground, which helps maintain the necessary humidity and steady temperature. 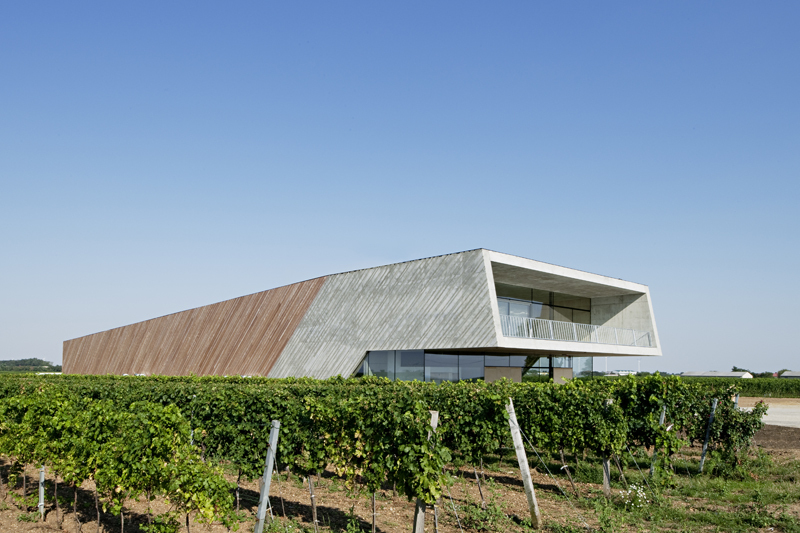 The inner courtyard is used for handling purposes, the initial steps in the production process, including grapes sorting and their transportation to the elevated platform. 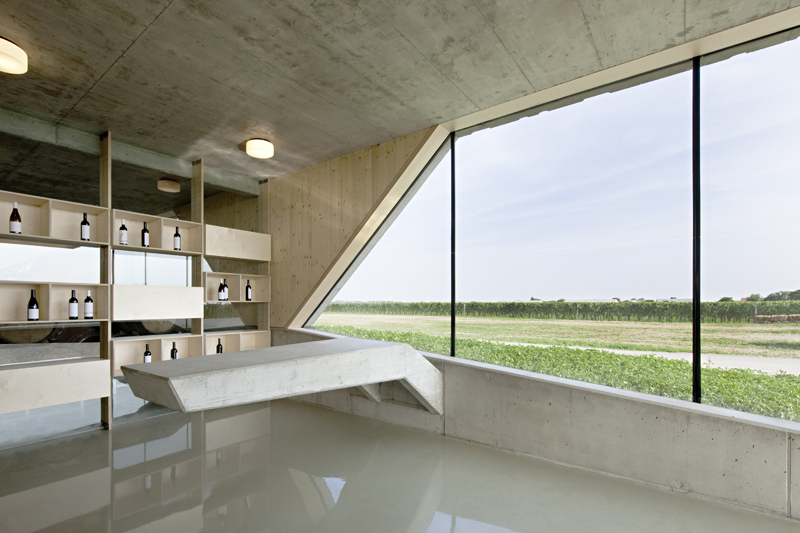 The biodynamic principles cohere with the philosophy of sustainability and also manifests itself in the demand on the design and the choice of materials. 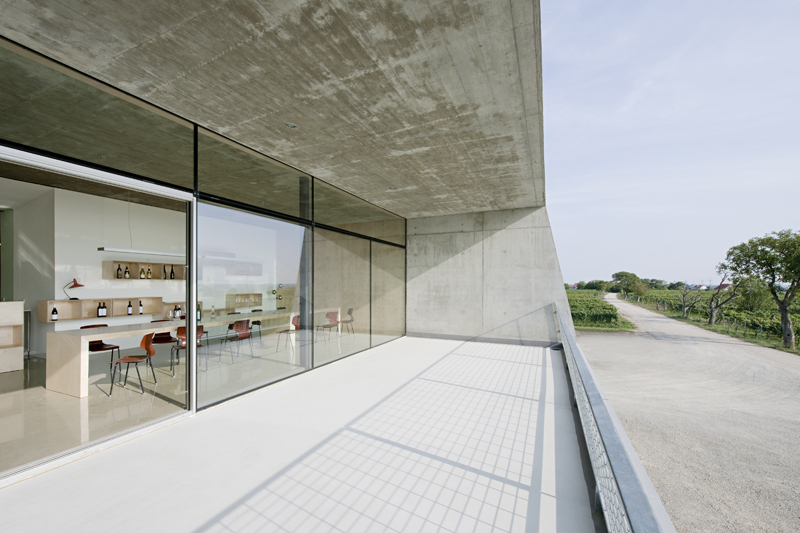 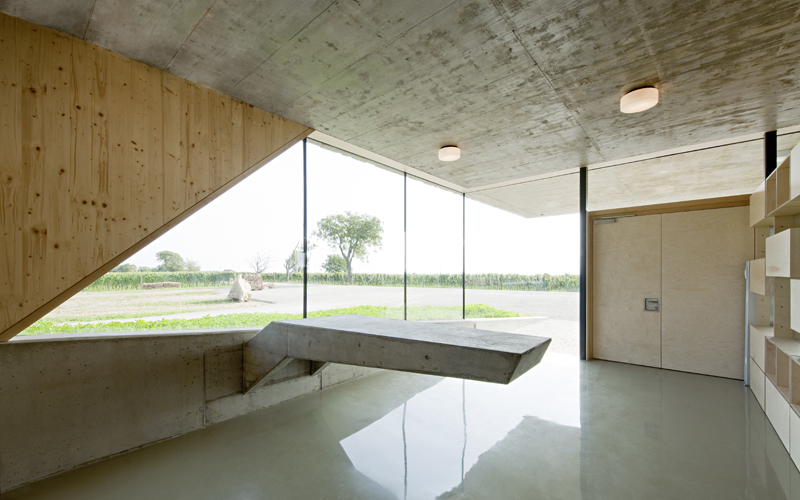 Reduced to to concrete, wood, and glass within the construction, on the facade, as well as in the interior.